When I received the item I thought to myself, “Huh…as if this is little thing is going to hold my phone”. I was wrong. I pulled out the magnets from the box (there are 2 sizes with spare adhesive) and it literally flew out of my hand onto the mount. Granted, I was keeping them close, but it was pulled out of my hand nonetheless. 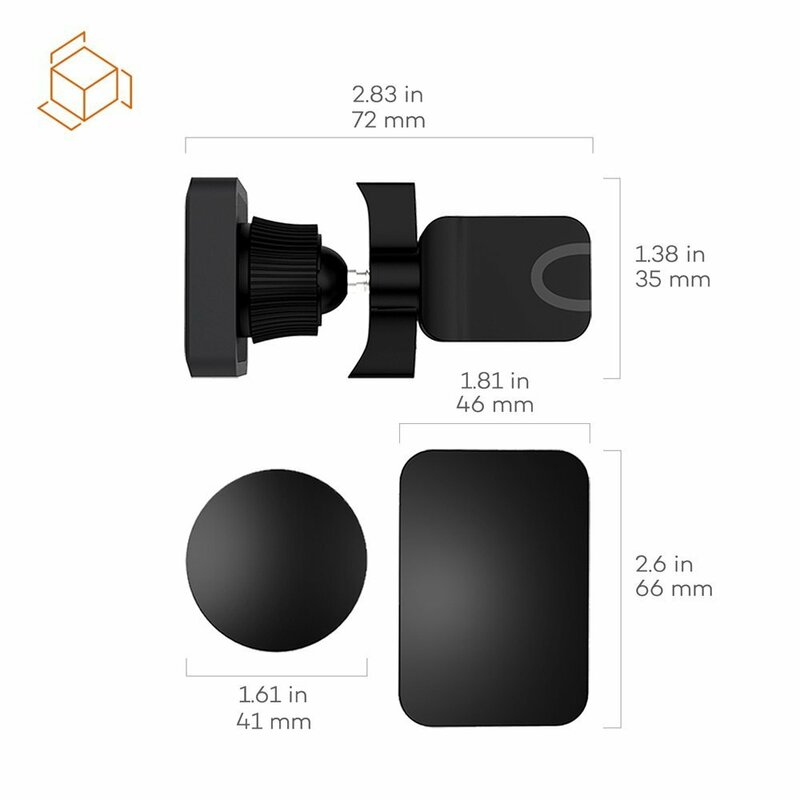 The mount comes with 2 magnets, a small round one and a larger rectangular one. They both have 3M adhesive (the good quality adhesive) on the back but I decided not to use it. Instead I slipped the smaller magnet behind my phone’s case and just put back on my phone. The magnet is thin enough that you won’t realise it’s there. Next step was mounting it to my car’s vents. 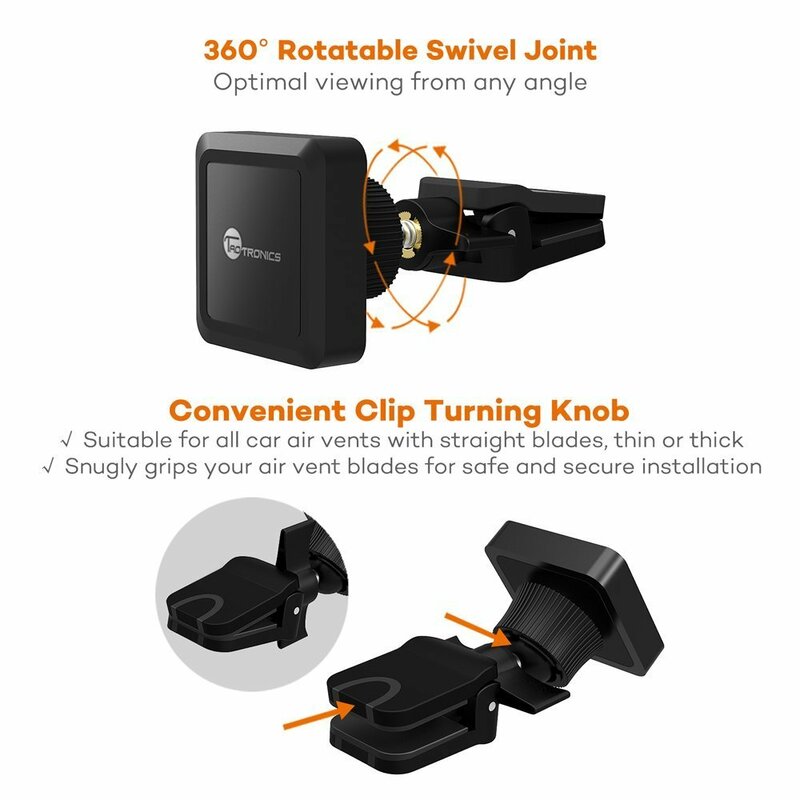 This gadget comes with a sort of ‘crocodile clip’ which can be tightened or loosened by means of a fly nut of sorts – this means that you don’t depend on a spring to make sure the mount doesn’t fall of the vent. The business end is also adjustable by means of a swivel joint which can be locked in place by tightening a lock nut with your fingers. I mounted the holder onto one of my vents and adjusted the end to get a good view of my phone. I started moving my phone (an iPhone 6S) towards it and when I was close, my phone ‘snapped’ in place. That’s it. I’ve now started basically flinging my phone at it and it just sticks in place (don’t try this – you might break your phone if your aim isn’t great). Once it’s magnetic you can rotate your phone however you want without having to adjust any brackets. 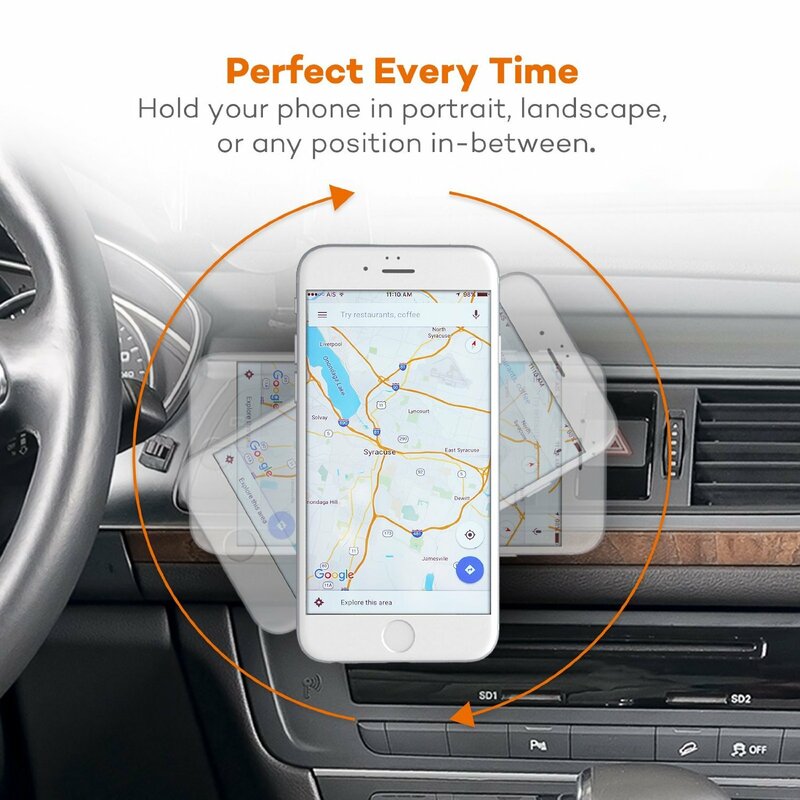 Even if you don’t need a car mount – get this one. It’s, to put it simply, great. Honestly. I was impressed.